Many thanks to SWLing Post contributor, Kim Elliott, who recently shared the photo above of President Harry S. Truman via @RealTimeWWII. If I’m not mistaken, that is a Scott Radio Labs Model RBO-2. I’m guessing that’s also the speaker mounted on the wall directly above the receiver. Scott Radio Labs marine receivers were shielded to the point that they had very low local oscillator radiation. This design prevented detection of the ship via the enemy’s use of radio direction finding gear. I have a commercial Scott Marine Radio Model SLRM–it is my favorite receiver and I use it daily. 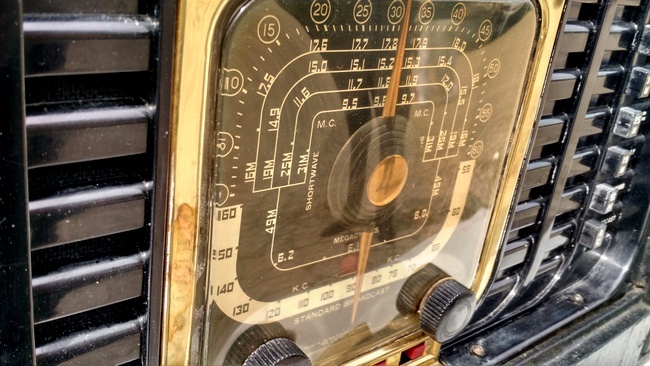 Post readers: Anyone else have a Scott Radio Labs receiver in their shack? Please comment! 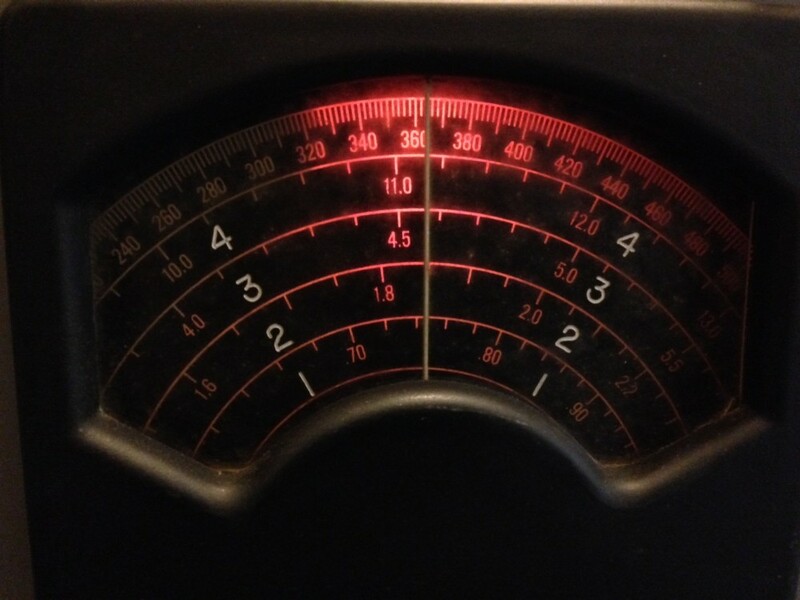 This entry was posted in Boat Anchors, News, Nostalgia, Radio History and tagged President Harry S. Truman, RBO-2, Scott Marine Radio, Scott Marine Radio SLR-M, Scott Radio Labs Model RBO-2, WWII, WWII Radio, WWII Radios on August 30, 2017 by Thomas. Sometimes history is hidden in plain sight or site — as is the case of a blockhouse-shaped building located, appropriately, on Radio Road in the Redwood Shores area of Redwood City. There is no plaque to remind the few visitors to the area that the two-story building played an important role in World War II: It housed the transmitter for shortwave radio station KGEI, which was the only voice from home for GIs fighting from island to island in the Pacific. Among other accomplishments, the station broadcast Gen. Douglas MacArthur’s “I have returned” speech that fulfilled his promise to return with victorious American troops to the Philippines, occupied by Japanese forces since 1942. This entry was posted in News, Nostalgia, Radio History and tagged KGEI, Richard Cuff, The Daily Journal, WWII, WWII Radio on August 17, 2017 by Thomas. Never to march, never to be mentioned. Since the end of the Second World War, many thousands of returned service personnel have marched at Anzac Day services throughout Australia. My father served in RAAF No 4 Wireless Unit, Central Bureau. Central Bureau was under the direct command of General Douglas MacArthur, and was set up to detect, record, and translate all messages transmitted by Japanese forces in the Pacific. Central Bureau was headquartered in Brisbane, but its Wireless Units worked in the field, moving forward with MacArthur, constantly intercepting and deciphering enemy messages. As the war progressed, the units became so efficient in their work that they were monitoring all enemy radio traffic, and in fact frequently knew the Japanese intentions before the messages reached their intended destination. The Wireless Units served throughout the Pacific islands providing vital information about enemy strengths and positions. RAAF No 4 Wireless Unit was formed as a highly mobile unit, and served at Hollandia, Morotai, Labuan Island, and at Luzon, Philippines. The U.S. High Command highly praised the Wireless Units of Central Bureau, stating that their work effectively shortened the War in the Pacific by at least two years. At the end of the war, Central Bureau was dismantled. All personnel signed a lifetime secrecy order to not speak of their wartime activities. No promotions applied. No evidence of their Central Bureau service was recorded, including overseas service. No medals were struck. Family members, including children, were not told in any detail, of their father’s war experience. It was only in the late 1990’s that the Australian government allowed information to be released. In the early 1960’s, my father mysteriously went on an unexplained visit to Brisbane. It was not until over thirty years later that I found out that he attended a twenty-year anniversary of his unit’s graduation. I write this on behalf of the children and grandchildren of those Central Bureau personnel that served diligently and efficiently when called upon, and who, when the job was done, quietly went home. They are our heroes. Indeed. Thank you so much, Neil, for taking the time to share your father’s story. We’re honored to post it here. 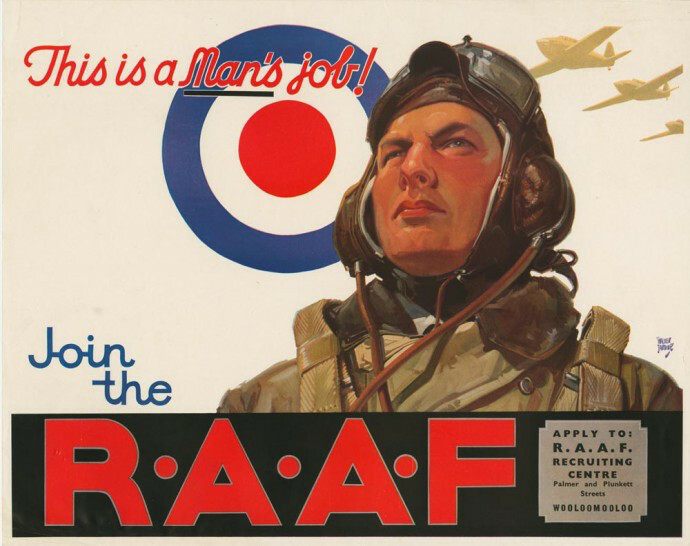 This entry was posted in News, Radio History, Shortwave Radio, Vintage Radio and tagged Australia, Australia WWII, Australian Radio History, Neil Bolitho, RAAF No. 4 Wireless Unit, RAAF Wireless Unit, Radio History, WWII, WWII Radio on April 26, 2017 by Thomas. Thanks to the recent film, The Imitation Game, you may be familiar with the story of how British intelligence, led by mathematician Alan Turing, cracked Nazi codes during WW2. Did you know there were also two secret organisations in Australia working to break Japan’s military codes? These were staffed with brilliant cryptographers, including some who had studied mathematics and the classics, and others who had lived or grown up in Japan. By patiently and carefully unravelling the codes in Japanese signals, their intelligence played a crucial role in the battles of Midway and the Coral Sea, as well as the push into the Philippines. Trevor Chappell interviews Craig Collie, author of the book Code Breakers – Inside the Shadow world of Signals Intelligence in Australia’s two Bletchley Parks. Click here to download the MP3 or click here to listen on the ABC website. I’ve also noted that you can pre-order Code Breakers – Inside the Shadow world of Signals Intelligence in Australia’s two Bletchley Parks at Amazon.com. There is no expected delivery time yet, however. Code Breakers is available directly from the publisher in Australia–click here to view. This entry was posted in News, Nostalgia, Radio History and tagged ABC Overnights, Australia, Australia WWII, Australian Radio History, Craig Collie, Ian P, Radio History, Spy Numbers, WWII, WWII Radio on April 25, 2017 by Thomas. BERKELEY TOWNSHIP — The mysterious poles have stood in the open marshland off Good Luck Point for nearly 80 years, but sometime in January these local landmarks will finally be removed. The Good Luck Point poles – and a similar pole field in Stafford’s Manahawkin section – were part of inactive shortwave antenna fields used by AT&T for ship-to-shore shortwave communications. They’ve become a familiar landmark for boaters, fishermen and residents of the area, and can be seen from the bayside in Seaside Heights and Seaside Park. The antenna field was in operation from the early 1930s until 1999. A shuttered building on the Good Luck Point portion of the antenna field contained equipment related to shortwave communications. Under the call sign WOO, the shortwave facility at Good Luck Point (known as Ocean Gate) was a renowned transmitting station, which helped broadcast Voice of America around the globe after 1944 and enabled communication with ships at sea throughout the 20th century, according to the U.S. Fish and Wildlife Service. According to federal officials, about 340 poles will be removed from the Berkeley site, along with several metal antennae. In Manahawkin, about 113 wooden poles will be removed from the antenna field. Several metal antennas will also be removed. This entry was posted in News, Nostalgia, Radio History and tagged app.com, Good Luck Point, Ocean Gate Antenna Field, Ocean Gate New Jersey, VOA, Voice of America, WOO, WWII, WWII Radio on January 5, 2017 by Thomas.